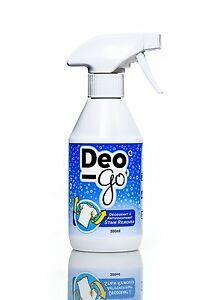 deo-go has no other items for sale. There are 962 items available. Please enter a number less than or equal to 962. 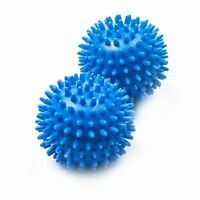 Great product - if pricey - fast delivery and great service! I bought this in the hope that it might 'de-crud' the rubbery residue left by ongoing use of 'Sport' type antiperspirant deodorents (which tend to be stronger than everyday APDs) on the inside of some favourite T-shirts. Despite following the directions meticulously, and repeating the process three times, there was very little difference. In one case, the rubbing of the fabric actually resulted in a small hole developing in it, but this was probably due to the vigorous nature of my attack on the problem area! I have given two stars rather than one as I suppose there is a possibility this product might work on more lightly stained garments. I won't be buying it again. Excellent product Worked for me! I was looking for a product which can remove armpit deodorant marks clothes... and this product did the job ! You have to spray on 5-10 minutes and leave it there and then wash it and you will see a result ! I have been using this for mainly T-shirt’s and it’s excellent ! I pre-soaked the items in hot water for 30 mins then heavily saturated the armpits with Deo-G and left for 40 mins. After 40 mins I used the side of a rounded edged teaspoon to gently rubbed the stains then re-saturated again with Deo-Go and left for a further 30 mins then put in a normal wash. Some of the stain had been removed but I immediately repeated the above. On the second wash the stains had either completely gone or had dramatically reduced. I've tried other products in a similar way with zero results so this DOES WORK after heavy soaking. No discolouration of the clothing.